Russia takes steps to eliminate match-fixing and illegal betting on football games ahead of the 2018 World Cup. The Russian Football Association has proposed a new state bill prohibiting betting on football games in light of recent scandals that have rocked the European leagues. The organization hopes to remove all suspicion from Russian football in the years ahead of the 2018 World Cup, although there have not yet been any cases of rigged matches in either Russia's Premier League or the country's lower leagues. Italy, Greece, Turkey, South Korea, China, Finland, and Sweden and, most recently, Croatia have all recently seen serious match-fixing scandals . Sergei Stepashin, a member of the executive committee of the Russian Football Association and chairman of Dynamo Moscow’s supervisory board, has proposed changing the state law on physical culture by introducing a new law on criminal prosecution of anyone involved in fixing the outcome of a match. Sports Minister Vitaly Mutko reported that the State Duma has already set up a working group to draft the new amendments. "I hope the changes will be ready for consideration by the State Duma in the first half of 2012," Mutko said. "The next step will be to create a new rule for football that will, above all, resolve the matter of criminal liability for rigged matches. In any case, we will take account of international practices in this sphere." The Russian Football Union has already set up a committee of experts to combat corruption in Russian football. "This is an initiative of great relevance,” said Anton Kavazashvili, the committee’s chairman. “The new law will become a serious weapon against rigged matches. The current legislation gives us few weapons for initiating legal action against football cheats." 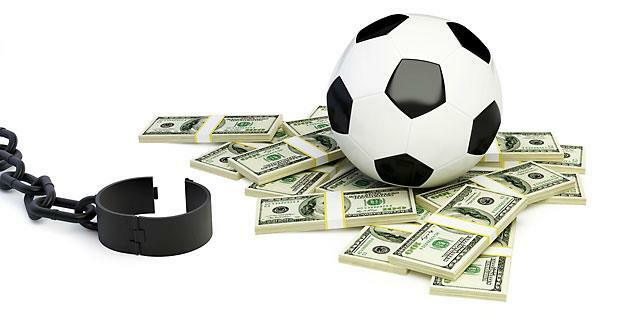 Anti-corruption in football is part of a package of initiatives taken by Russian President Dmitry Medvedev’s government against corruption in general. Together with the Russian Football Association, international football association FIFA has put together a task force to put an end to dirty football. Their tools include a hotline in 180 languages for players who want to denounce suspicious movements, a witness protection program, reduced sentences for those who confess, and use of Interpol's systems and counter-terrorism techniques.